Transformations By The Gulf for women is an holistic program that focuses on women’s mental, emotional, spiritual, physical, and interpersonal growth. As well as utilizing evidence based treatment, They also utilize adjunct therapies that include yoga, nutrition classes, acupuncture, mindfulness and exercise with a personal trainer to promote holistic treatment. They also offer the option of Hypnosis therapy with our in-house licensed practitioner. Transformations By The Gulf for women offers programming designed for 30, 60, and 90 day stays. They offer affordable, cost effective, and private treatment to women with an array of substance abuse and chemical dependency issues – They are also one of the only gender-specific addiction treatment programs with community housing that specializes in process addictions, such as gambling. The outpatient treatment options are designed individually based on every woman’s specific needs, and are strictly client centered. Their professional team has vast experience as professionals in the substance abuse and mental health fields. I am following my powerful, purposeful, passions by spiritually empowering others in living the life they desire. Its time to live your live with purpose and meaning NOW. 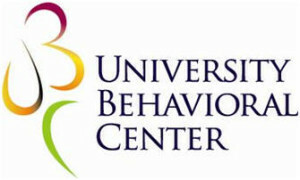 University Behavioral Center, a 112-bed psychiatric hospital, has provided quality of care to children, adolescents and adults in central Florida since 1989. The facility, located on a beautiful campus in Orlando, neighbors the University of Central Florida. We provide culturally competent, individual and family centered, safe, timely, professional, and cost effective care, treatment and services to all who seek services.